Here is my Schwere Feldhaubitze, 15 cm "Immergrün" (translating as Evergreen). 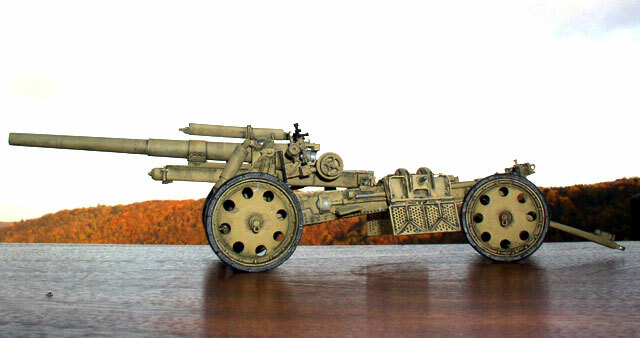 The kit is full resin, manufacturer unknown, in 1/35 scale. 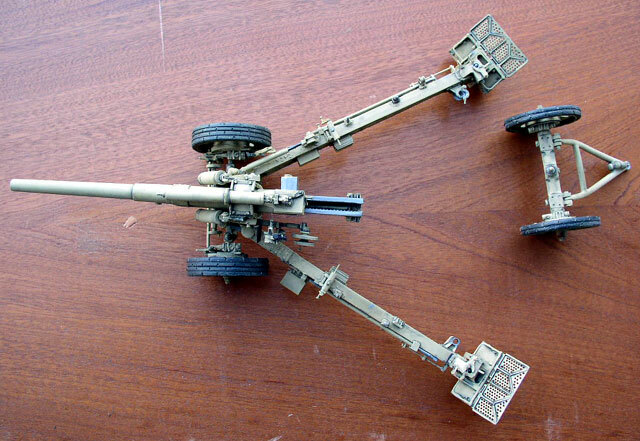 It was obviously an old kit, with parts missing, some damaged or showing bubbles. Anyway, I had a lot of fun building it. I always try to be a modeller, not just an assembler, so I tried to build the kit moveable, because I wanted to create a diorama with it - someday! 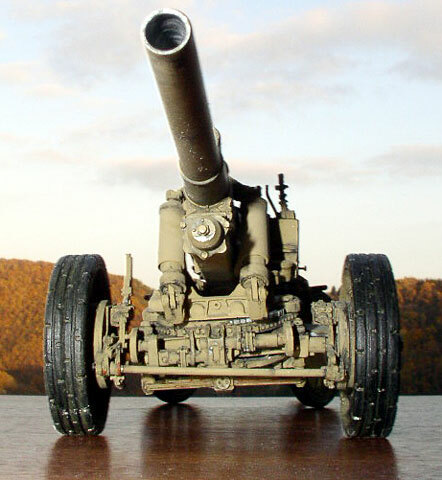 The model can be displayed in firing or towing position, gun is moveable up and down and sideways. 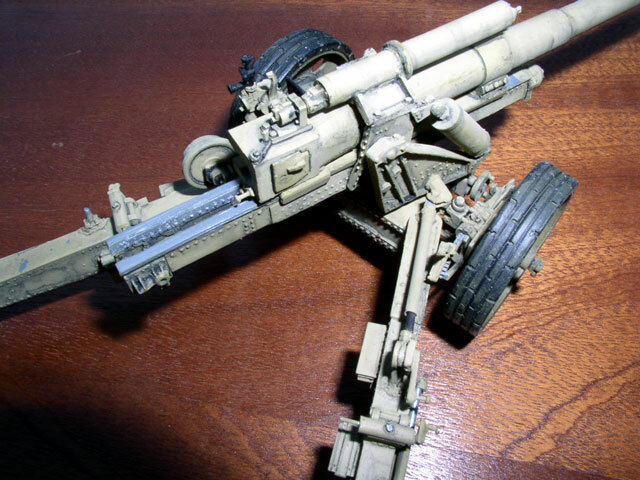 The gun was painted using Tamiya acrylics. A wash of diluted oil paint (black and several browns) was also applied. Building this kit was great fun!